Finally had a chance to backpack in the Sierra's this past weekend. It's been a dream to see it with my own eyes and I finally made it! We spent Friday thru Sunday at Ediza Lake and I got to see a few other alpine lakes...it was nothing short of amazing! Nice photos! Looks like my time in the Sierras this year are done.. as I have no more vacation time and two of the men's soccer leagues I play for within L.A. Municipal Parks/Recs have gone into full swing, with games on Fridays and Sundays. I'm definitely jealous! I'll have to make a note of Ediza Lake for next year. It's a good hike but all on established trails. Iceberg Lake is definitely a must-do...it was beautiful. You picked a good spot for your first sierra trip! 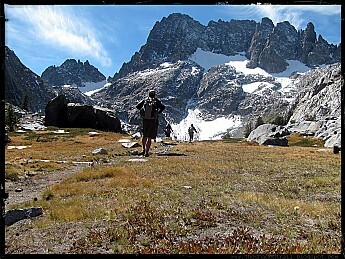 I need to get back to that part of the sierra again. Thanks for the report mangus, I'm a big Sierra fan myself! Beautiful pictures and nice report, mangus. I enjoyed it. 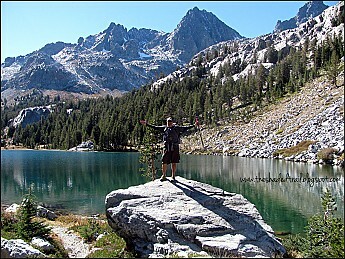 I love the Sierras (and Mammoth)! I know you enjoyed the trip! Ediza is a beautiful lake for sure. I got some great reflection pictures when I was there. Ediza is beautiful but I liked Iceberg a lot more for some reason...it was breathtaking to say the least. The Minarets, Ritter, and Banner have some fantastic climbs on them (including one in the Minarets that several of us put up a new route back in the mid 1960s). Ritter and Banner both have easy routes to their summits that take only a few hours round trip from Lake Ediza. All forums: Older: Guatemala Newer: AT Closed?? ?